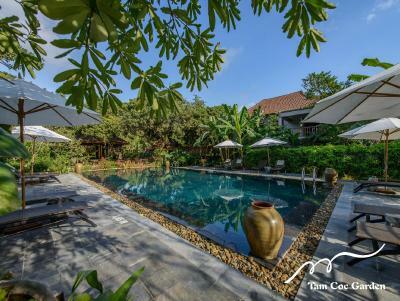 Lock in a great price for Tam Coc Garden Resort – rated 9.5 by recent guests! Off the beaten track, peaceful and quiet. Beautiful countryside and the gardens around the pool are amazing. Location was perfection, could bike everywhere on their free rental bikes! This place is insanely gorgeous. It's like it's not even real. Easily the nicest place in the area and an actual resort, resort. The staff is extremely helpful and friendly. They celebrated my birthday with a cake and flowers and were entirely accommodating the whole time. The views are insane. We arrived and canceled our plans just to hang out at the pool and relax in paradise. Bike loans were really convenient and helped us explore the area. The hospitality from all members of the hotel staff. The pleasant, relaxed environment. 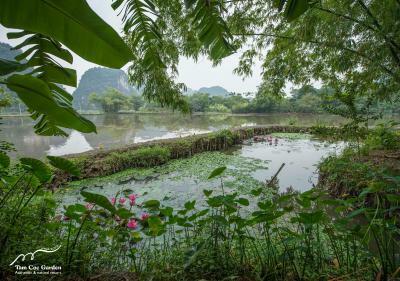 Amazing, relaxing location, away from noisy Tam Coc center. The staff was super helpful and charming. The staff are wonderful: kind and helpful, they helped us get the most out of our stay. From the receptionists to the waiters, everyone exceed our expectations. 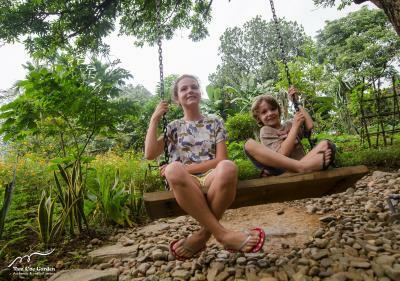 The garden and the pool are a paradise, yet it only takes a bike ride to the best attractions of the area. 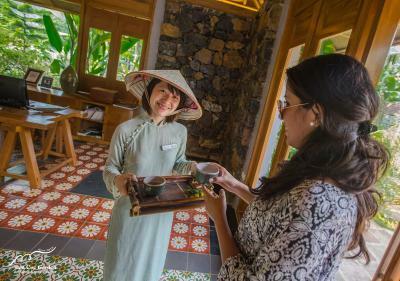 Staff goes beyond duty to make you feel welcome and happy. It is a big place, but service attitude is so natural, so warm that you will feel you are in some friends house. 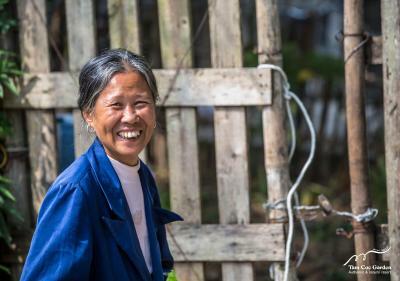 It was a cold winter, colder than expected, but we had amazing days at Tam Coc Garden, celebrating the New Year along with the staff between music and laughs. We will always remember our stay and we look forward to be back. This hotel is absolutely fantastic. A peaceful home away from home in traditional style- I celebrated my 30th. birthday here and they made it so special. Highly recommend the jeep tour in their 1975 US airforce Harley!! 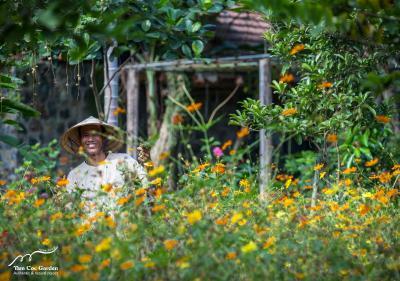 And the staff are all amazing, kind and have shown us true Vietnamese hospitality. Can’t speak highly enough of it. And NO bugs that we can see!! They’ve done a great job of keeping them at bay :) 10/10. 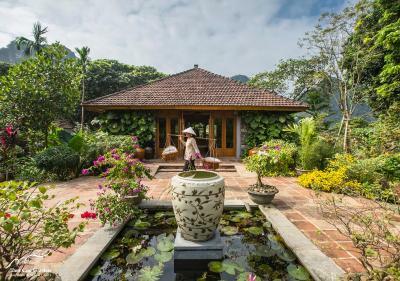 Tam Coc Garden Resort This rating is a reflection of how the property compares to the industry standard when it comes to price, facilities and services available. It's based on a self-evaluation by the property. Use this rating to help choose your stay! 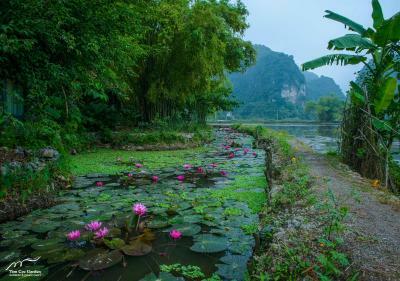 Surrounded by paddy fields and lush greenery, Tam Coc Garden Resort features an outdoor pool and comfortable rooms with private terrace overlooking the garden or mountain. It offers free rental of bicycles and provides complimentary Wi-Fi access in the public areas. 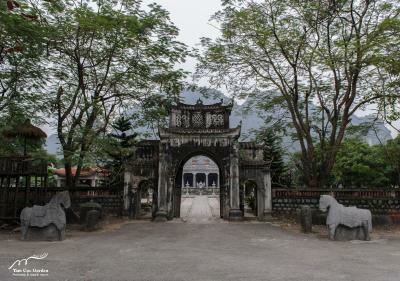 Located just 3.1 mi from Tam Coc Cave, the resort is within 9.3 mi to the popular Trang An Cave and Bai Dinh Pagoda. 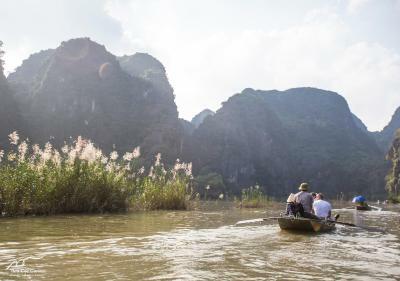 Hanoi city is accessible 62 mi away, while Noi Bai International Airport is approximately 87 mi away. Featuring thatched roof and tiled flooring, air-conditioned rooms include a personal safe, wardrobe, a mini-bar and seating area. Rooms come with an private bathroom equipped with bathtub and free toiletries. 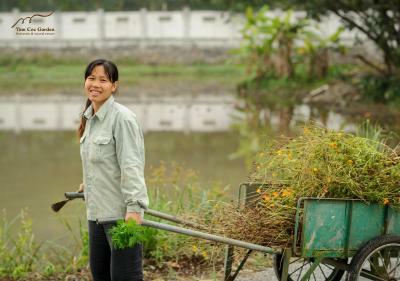 Available round-the-clock, the friendly staff at Tam Coc Garden Resort can assist guests with luggage storage, laundry and ironing services. Shuttle services can also be arranged upon request, at a surcharge. Free parking is available on site. 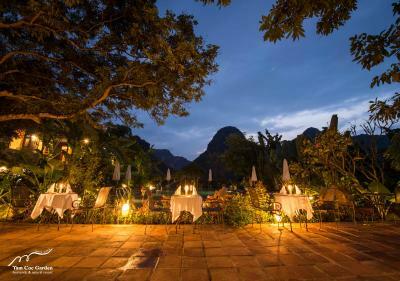 Serving Vietnamese and Western cuisine, the in-house restaurant offers tasty meals from 06:00 to 22:00 daily. A variety of snacks and beverages can also be enjoyed at the bar. Room service options are also available. 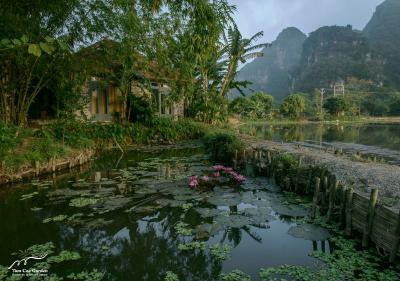 When would you like to stay at Tam Coc Garden Resort? 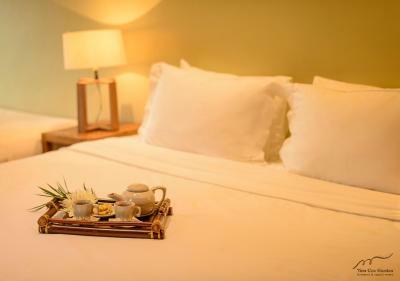 Featuring a private terrace with views of mountain and paddy fields, air-conditioned rooms include a personal safe, wardrobe, a mini-bar and seating area. 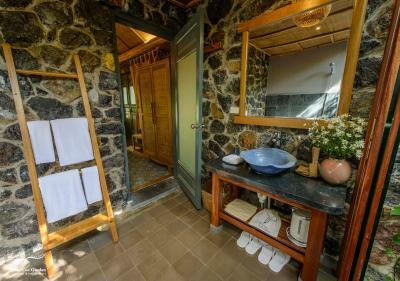 Rooms come with an private bathroom equipped with bathtub, hot water and free toiletries. 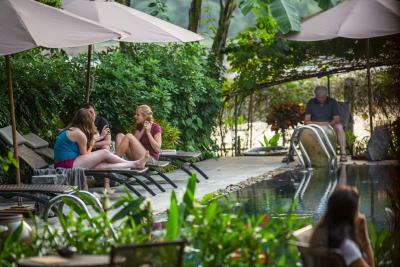 Rooms feature free Wi-Fi access and complimentary fresh fruits daily. 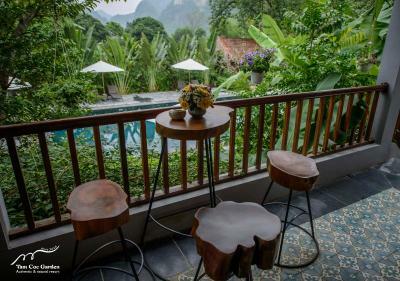 Fitted with a private terrace offering views of mountain and paddy fields, air-conditioned rooms include a personal safe, wardrobe, a mini-bar and seating area. Rooms come with an private bathroom equipped with bathtub, hot water and free toiletries. 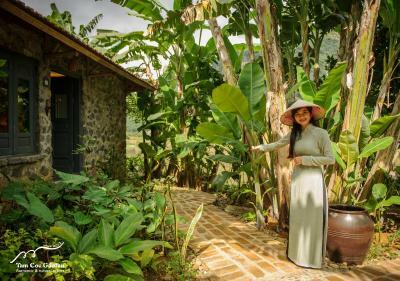 House Rules Tam Coc Garden Resort takes special requests – add in the next step! 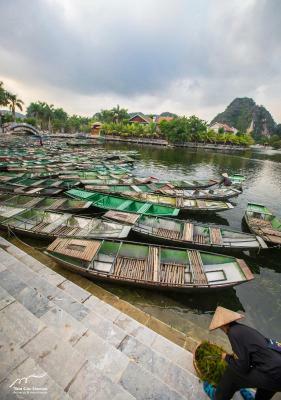 Tam Coc Garden Resort accepts these cards and reserves the right to temporarily hold an amount prior to arrival. The breakfast wasn't so great: variety and freshness of the foods can be improved. It’s a little bit remote from the local town, however, there are free bikes and a fantastic and reasonably priced restaurant onsite. If you’re looking to get away from it all and recharge your batteries, this is the place to be. 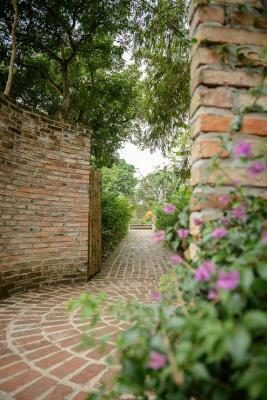 The property was set in an surreal setting, the gardens and flowers were so beautiful. bath was good size for 1 person, although hot water ran out after filling less than half the tub :P view was decent although there was an excavator digging near our villa that started in the morning and went on till we checked out. food in the restaurant was hit and miss - some were delicious, others a little bland, but appreciated that there wasn't overuse of salt! ask the lovely staff for recommendations! the hot water is a bit on and off....have to wait 10-15 minutes in between showers and even then the water not hot. Absolutely amazing property, staff, facilities. 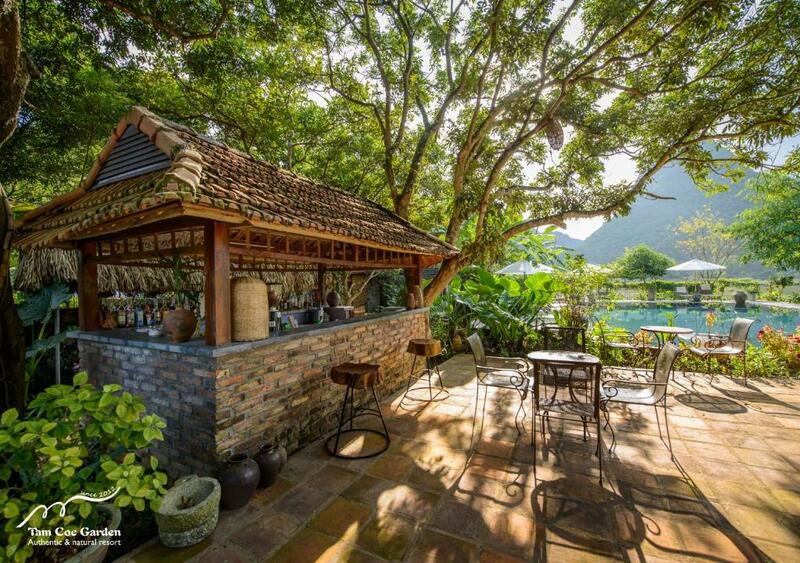 Amazing view, great staff and very peaceful setting. The hotel is amazing. The room and the bathroom were totally clean, super cozy and the atmosphere superlative. The food at the restaurant was really good, the vietnamese cuisine was delicious. The breakfast abundant and delicious as well. 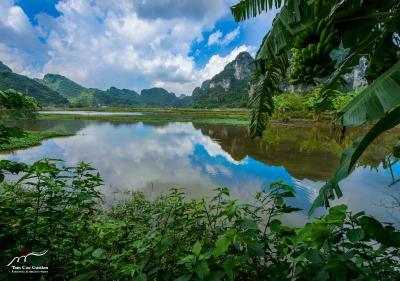 The location is the best, in the middle of nature and the gorgeaous botanic garden in Tam Coc. 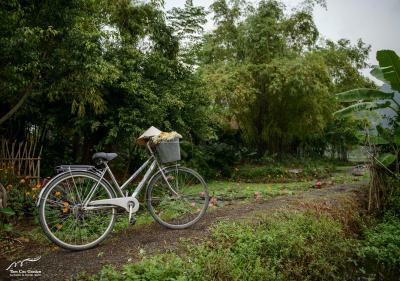 And we rented the bicycles for free, so it had been easily also get around to the other places located close to Tam Coc. Thank you to the great staff who has been so helpful and kind. I'll go to there again for sure. The breakfast was ok, nothing to write home about. If you like to watch tv, you're out of luck. The restaurant - I think the price was a little expensive for the food, and the service was quite slow at times. Some of the dishes we ordered were not very good and they were listed as their specialties. With the location of the hotel, there are not many options close-by so you would have to take a taxi into town to get another meal. The service and staff was absolutely wonderful. They went out of their way to help us and make us feel comfortable! The property is just beautiful. 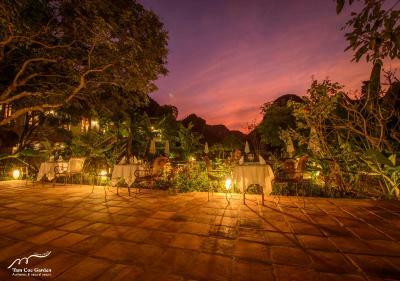 The garden with the amazing flowers, the lovely reception area, and the relaxing pool area are all phenomenal. 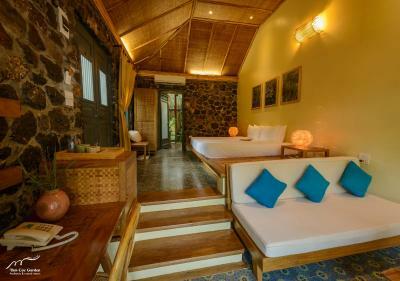 The rooms, along with the outdoor space and bathroom are spacious and very comfortable!